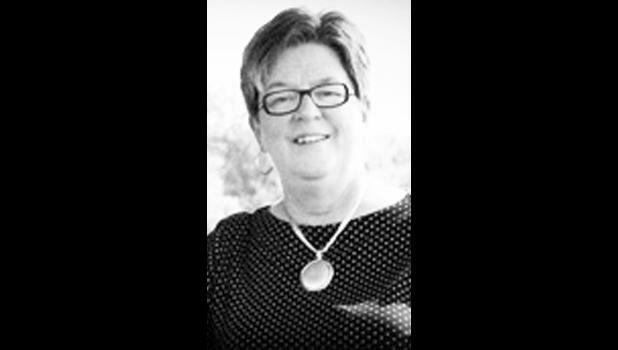 Cynthia Ann Bradberry Thornton, 62, of Whiting, was welcomed to her heavenly home on Saturday, June 16, 2018, after a seven-year battle with cancer. Cynthia (Cindy) was born Feb. 25, 1956, in Hiawatha, the daughter of Joseph Keith Bradberry and Edna Marie Davis Bradberry. Cindy was a graduate of Horton High School, class of 1974. On Aug. 10, 1974, Cindy married her best friend and love of her life, Larry Thornton. Together they began their life together in their home outside of Whiting. They welcomed two children, Rebekah Ann Thornton-Savage and Adam Brady Thornton before moving to the family farm in October 1983. Family was Cindy’s passion. She enjoyed being a homemaker, although she would work outside of the home on occasion over the years. She found great delight in her five grandchildren and welcomed every opportunity to spend with them. Cindy was always a very active member of her church, serving as Sunday school teacher and VBS director many times. She embraced the opportunity to further serve her Lord using her cancer as an opportunity to witness to others. Cindy is survived by her husband, Larry Thornton; daughter Rebekah Thornton-Savage of Manhattan; son Adam (Erin) Thornton of Wamego; five grandchildren, Bailey, Kendall, Reece and Brady Thornton and Keith Savage; sister Glenda (Allan) Williams of Vermillion; four nephews; and a niece. She was preceded in death by her parents and a brother, Douglas Bradberry. Funeral services will be held at 10:30 a.m. on Thursday, June 21 at the First Baptist Church of Horton. Family will greet friends on Wednesday evening from 6:30 p.m. to 8 p.m. at the Dishon-Maple-Chaney Mortuary. Burial will be held in Springhill Cemetery, Whiting.